Whether you enjoy running, yoga or weight lifting icing can help with a quicker recovery. More often than not we simply don’t have the time to sit on the couch and ice. 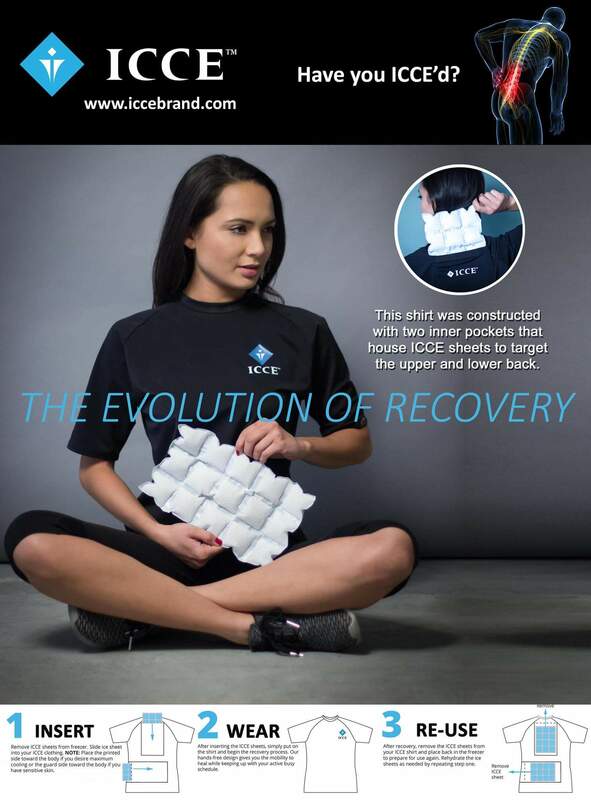 ICCE Brand developed and tested a back recovery shirt that comes with ice sheets. Simply slide them into our compression shirt and continue on with your busy day.